The enormous amount of information that flows through one person’s pocket every single day is larger than ever imagined before. People consume and produce information constantly and when multiplied by millions of users the growth is exponential and the potential uses are infinite. Although societies have been preparing for this change, the flow has been hard to canalize in the initial years, on one hand capacity to storage, analyze and utilize information was shorter than the amount of information generated and on the other hand many people, institutions and governments have not completely see the picture and organize themselves to engage with the current demands for adequate use of the information. Challenges are huge therefore actions are required to propose possible future uses of information capable of promoting sustainable development via monitoring and decision making while at the same time allowing some degrees of preventing the whole ecosystem getting out of control. The basic challenge is to understand the possible future scenarios and propose mechanisms to take advantage of the use of information. This document aims to describe the current challenges faced by national governments, and consequently society and the global community, with the increase of information production and the manifold possibilities to use it, disseminate it and regulate it. Governance of Big Data means recognizing the inherent complexity of its development ecosystems and proposing arenas for the articulation of actions pursuing a better use of information and increment benefits from this use to society. Currently discussions on development issues have highlighted the importance of information and data management as crucial for improvements in quality of life, transparency of governments, entrepreneurial ecosystems and environmental protection; so sustainable development under current contexts required profound conversations and immediate actions on data ecosystems where Big Data plays a key contemporary role. Incentives are at the core of adequate governance and identifying them allows designing proper interactions that will be sustainable and will not demand artificial catalyzers. The public realm carries a big responsibility of reproducing public goods that are produce with the resources of all and benefit all (or at least attempt to do it), while private sector has to make decisions based on investments and returns that will provide services needed but constrain to the actual profit generation capacity of a market, therefore constraint. Social interaction will allow to identify multiple actors with a manifold of incentives providing new possibilities for governance, which at the end means new possibilities for decision making. 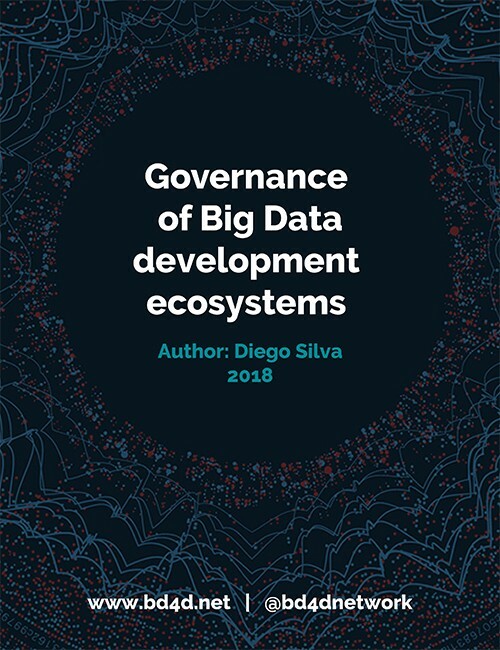 Identifying goals, recognizing the social structure and deciding where to allocate resources and efforts will allow the development of specific governance mechanisms for each society attempting to promote Big Data ecosystems.